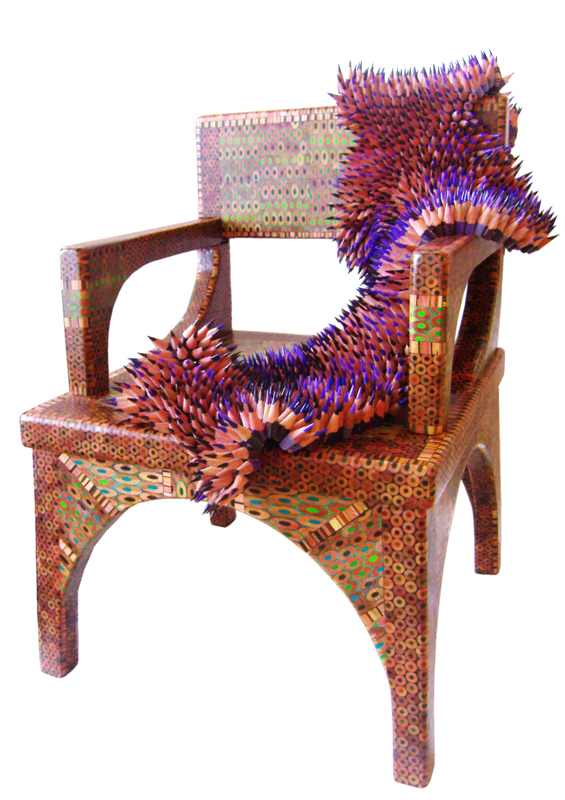 Jennifer Maestre graduated from Wellesley College and received a fine arts degree from Massachusetts College of Art. She is the recipient of numerous awards and grants including a grant from the Massachusetts Cultural Council. 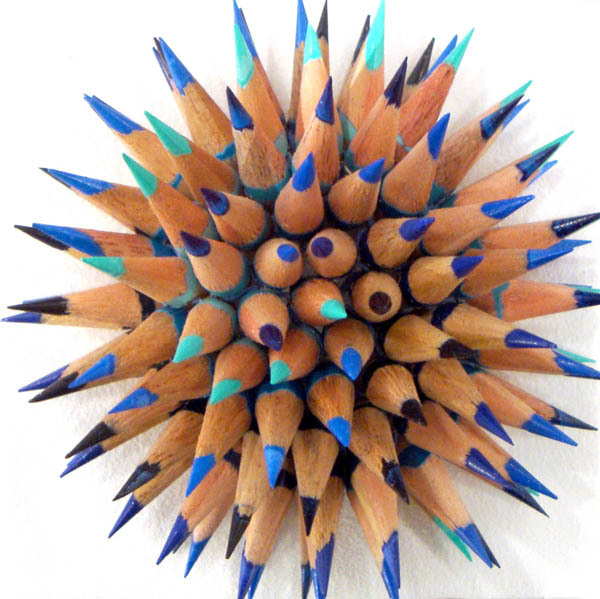 Many creative endeavors begin with a nicely sharpened pencil and a two dimensional surface. My obsession with the point has led me from two dimensions to three. The texture created by a mass of pointed ends is alluring, but is intimidatingly sharp and hard. A tension thus arises between desire and repulsion. The opposing blunt ends offer a different aesthetic experience: a delicate mosaic, a smooth spotted skin. Although the sculptures appear rigid, they are actually their own unique fabric. 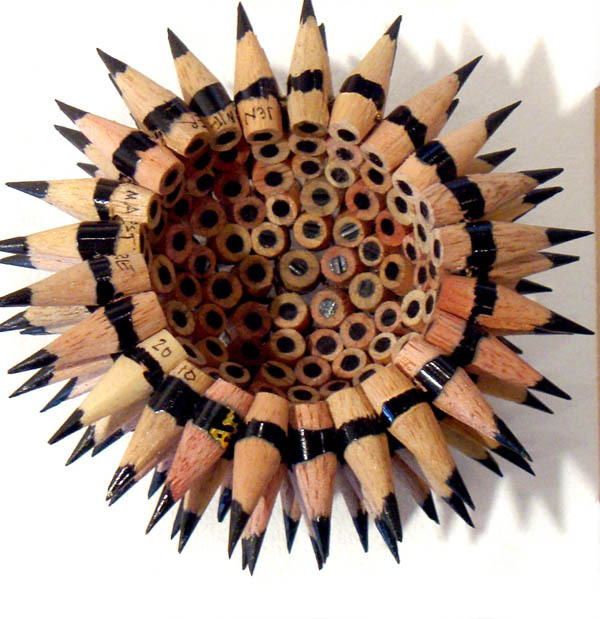 Pencil points are transformed into beads by drilling holes into each. Thousands of points are woven together with thread or wire, creating flexible forms reminiscent of the organic shapes of animals and nature. Pencils represent to me creativity, inspiration, striving, work potential, and fun. Each sculpture is a manifestation of one or more of these qualities.